Hey, did you hear they’re making a new Star Wars movie? Fancy that. 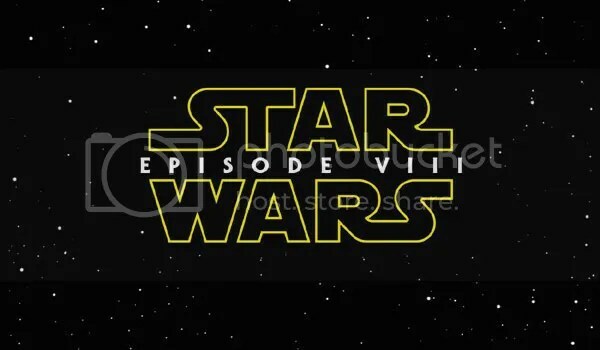 Production is already underway, so consider the hype train for Episode VIII in full locomotion. I’m as excited as the next fan. Heck, I’m even excited for Rogue One! I still have no idea how that movie’s going to work. What would I like to see in Star Wars: Episode VIII? When The Force Awakens was first announced way back in 2013, I wrote a similar list…and got maybe two of the things I asked for. But back then, we had no idea what to expect. Now we know the story, the characters, the concepts, and I have some new ideas in mind. New hopes and dreams that will, in all likelihood, still be dashed upon the snow like an overworked tauntaun. But hope springs eternal! so join me after the jump for six things I want to see in Star Wars: Episode VIII! And be warned, there will be SPOILERS for The Force Awakens, just in case you haven’t seen it yet. Finn is my new favorite Star Wars character. He was funny, exciting, had a good story, and he’s a former Stormtrooper, which fulfills several of my favorite tropes. I love it when bad guys become good guys, and I love it when henchmen rise up and make something of themselves. So a Stormtrooper who becomes a good guy is kind of exactly what I want from a new Star Wars character. It’s like J.J. Abrams and company read my Star Wars Dream Journal. Therefore, I don’t want Finn’s backstory touched or changed in any way going forward. No secret reveals about his ‘true origins’. No making him Lando’s son. No ‘chosen one’ garbage. His origin is perfect already. He’s got a great ‘humble beginnings’ thing going for him, and I think it’s best to leave it that way. Those final scenes in The Force Awakens were pretty great. And I don’t mean the reveal of Luke Skywalker. I mean Rey taking the pilot’s seat in the Millennium Falcon, with co-pilot Chewbacca at her side. 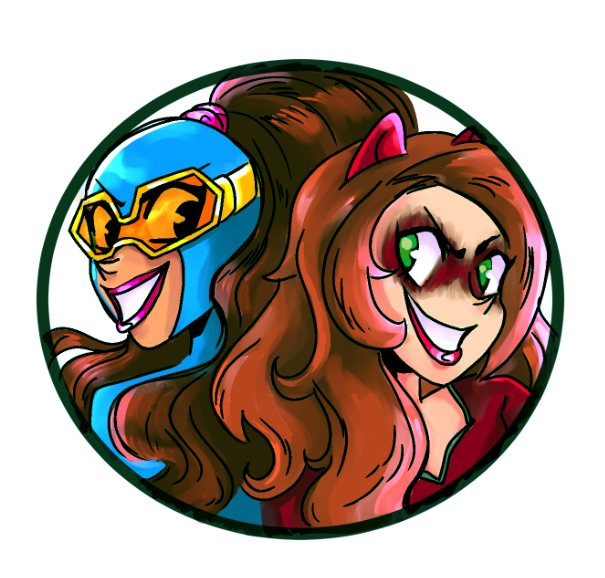 They would make a pretty great team. Chewbacca needs to remain a character in the films, and with Han Solo gone, it would be best if he teamed up with Rey now. She should inherit the Falcon and everything that comes with it. And as great as it is to have Peter Mayhew back as Chewbacca, I’m also OK with the new guy, Joonas Suotamo, in case he needs to take over. It seems fitting that Suotamo could join the new young cast, and could go down in Star Wars history the same way Mayhew has done. Supreme Leader Snoke is more silly than menacing, as far as I’m concerned. There was the whole bit where it first appeared that he was a giant, which would have been ridiculous. Then he only appeared via hologram. And that name is just dumb. I winced every time respected, meaningful characters like Leia and Han had to say the word ‘Snoke’ when talking about their personal problems. The name drains all the tension out of Han and Leia’s very realistic troubles. I also can’t stand the endless online speculation of Snoke’s true identity. Why does it matter at this point? Honestly, a lot of this baseless Internet movie speculation has been bugging me lately, but that’s a topic for another day. For Episode VIII, I want to see them make something terrifying out of Snoke. Don’t save him for the third movie. Make him, and by extension, Kylo Ren, into something threatening in the next movie. I know I’m not the only person who was disappointed that Captain Phasma didn’t have a bigger role. After all that hype of having the female Stormtrooper badass, including casting Gwendoline Christie, and she barely features in the film! 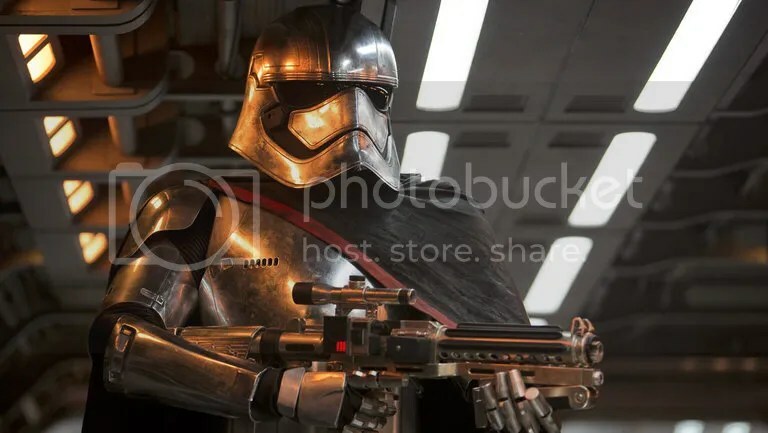 So I’m all for having Phasma survive the Starkiller explosion and come back for revenge. Maybe she’ll be a Boba Fett figure, or maybe she’ll blaze her own trail in a personal quest for revenge against FN-2817. Let go of her hand! I know that saying this might disqualify me from Tumblr, but I’m a Rey/Finn ‘shipper all the way. Don’t get me wrong, I can totally see the love for Finn/Poe, but the heart wants what the heart wants. I thought Rey and Finn were great together, and more than a little cute. 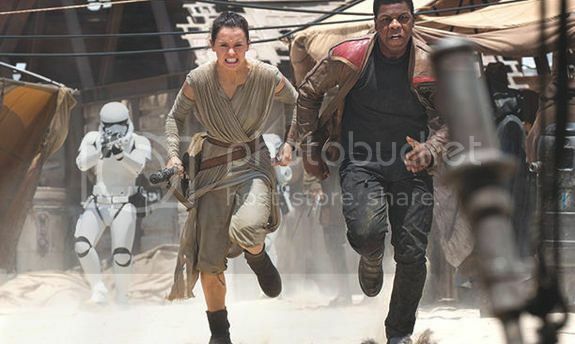 I like the idea of them being separated in the next one, as Rey begins her Jedi training and Finn heals. I would just like to see the two of them together in the end. Not that Finn/Poe wouldn’t be great too. I understand exactly where that’s coming from. And honestly, it would be fantastic if Poe Dameron were gay. But he’s just gonna have to find love somewhere else! Speaking of Rey’s Jedi training, the one thing I want to see most in the next Star Wars movie is Rey building and using her own lightsaber. That blue one she has on loan from Anakin and Luke Skywalker is nice and all, but she needs her own weapon. There is a lot of mythology in the Star Wars universe behind building and empowering your own lightsaber. And there’s a neat little Return of the Jedi deleted scene where Luke builds his green blade, but it got cut. 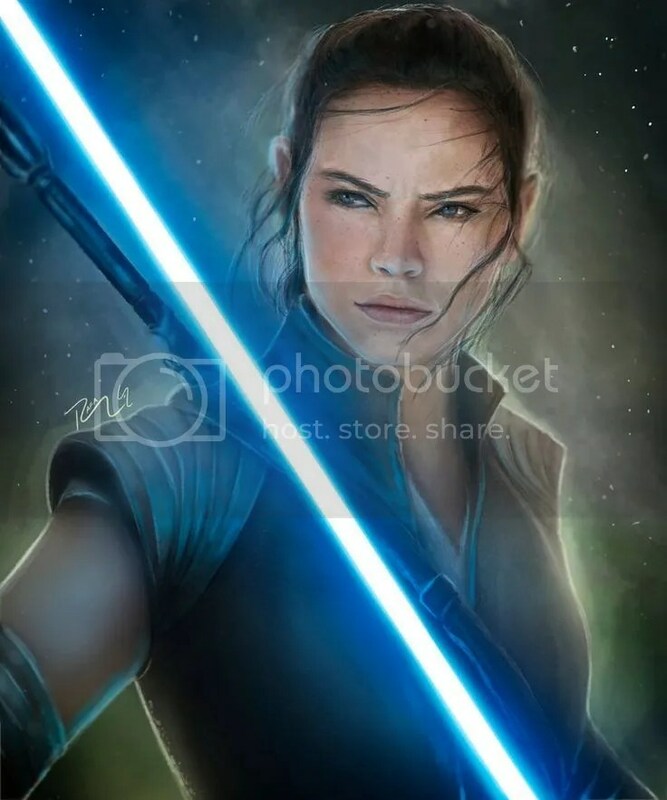 So I want Rey to be the first on screen Jedi who we see building her own lightsaber. Then we’ll see her carry it into battle like the triumphant Jedi hero we know she’s going to be! Maybe she builds it out of pieces of the Millennium Falcon! And I wouldn’t be opposed to the blade having a new, original color. Maybe yellow? Or even purple? Rey’s worth it! That’s my list, what about yours? We’ve got two years to endlessly speculate and hope for Episode VIII. What do you want to see in the movie? Let me know in the comments! Posted on February 24, 2016, in Lists of Six!, Movies, Star Wars and tagged Chewbacca, Finn, Lightsaber, Rey, Star Wars: Episode VIII, The Force Awakens. Bookmark the permalink. 9 Comments. you say Rey took the pilot’s seat with Chewie as co, but I question are you sure of that? It is totally ridiculous to put the noob as pilot and relegate the nonhuman with 50 years of experience, and rightful heir of the ship, to the copilot seat. I thought we had gotten past not giving Chewie a medal. So, either you were wrong or misspoke, and i had a heart attack for nothing, or Disney Lucasfilm has made a terrible mistake. I have no clue, honestly. I don’t know which of those seats is the pilot seat, and I can’t remember if she sat on the right or the left. 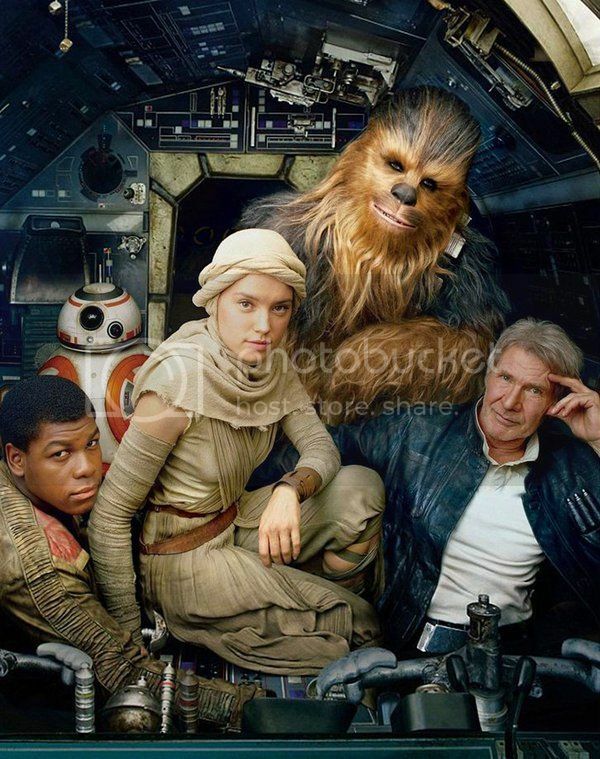 But Chewie seems like the kind of guy, and this seems like the kind of movie, that would put her in the pilot’s seat. The movie was quite proud of her skills earlier on Jakku. This is SW’s chance to bring out Chewie as more than a sidekick. on a related note, since Han isnt around anymore to translate, it would be cool to see subtitles for Chewie. yellow would be a nice color for Rey. 6. Finn vs. Rey. I think it would be neat for Rey to take Kylo Ren up on his offer for training. Rey doesn’t care about Luke or Han. She only cares because the movie told her to. She has no connection to them. She spent just as much screen time with Ren as she did Han. But Finn, he’s all Resistance now. He must stop Rey, before her path to the darkside is complete and the galaxy is doomed. 4. Poe Dameron and BB-8: Space Heroes! I felt since their mission in VII failed so terribly like 6 minutes into the movie, they should get a chance to redeem themselves. 3. Make General Hux matter. Maybe a tete a tete with Leia. 2. Kylo Ren betrays Snoke. Vader turned…twice. Ren will turn twice. No reason to save this for Episode IX. I want Leia vs. Ren vs. Hux with some New Jedi Order thrown in. There have been some pretty amazing web comics in the wake of The Force Awakens. The Internet has not let me down. Finn vs. Rey would be pretty damn sweet, now that you mention it. And it would be different from the original trilogy. But you will never convince me that General Hux is anything more than a little boy playing dress up as an Imperial officer. I do hope that Poe is outed as gay. That would be the most amazing thing ever. Can you even imagine a gay man in a major role in a massive sci-fi franchise? It would be revolutionary. And they can do it! TFA proved that, as long as the movie is good, audiences will accept anything. The two main leads being a woman and a black guy? Not a goddamn problem at all. So I want Poe to have a bigger role, and to come out as gay. Let him spend most of the movie pining for Finn, and then he can meet another cute Resistance guy at the end. And Episode 9 shows Poe and Cute Guy in a relationship. And the Moral Guardians will complain, and the movie will make $1.5 billion, and Abrams will say, “Hey, entire rest of Hollywood, your move. Boom.” And he’ll drop a mic while throwing his hands in the air. Also, I kinda want an early scene in Ep. 8 to have Rey trying to hand something to Luke, but he doesn’t take it, and she just says, “Will you just take this before my bloody arm gets tired?” It would be a terrible joke, but I would be amused. As soon as I read your comment, I couldn’t help but think that Poe Dameron isn’t a pining sort of guy. I can picture him just shrugging his shoulders and immediately moving on when he finds out Finn is unavailable. Poe seems like a total Casanova sort of guy. Maybe he could have a nice romance subplot with the Lando or Boba Fett character they introduce in the next film!